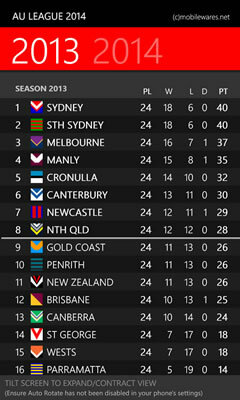 Another huge update to Australia + New Zealand's #1 selling Rugby League app in 2011, 2012 + 2013 - now for Windows Phone 8! 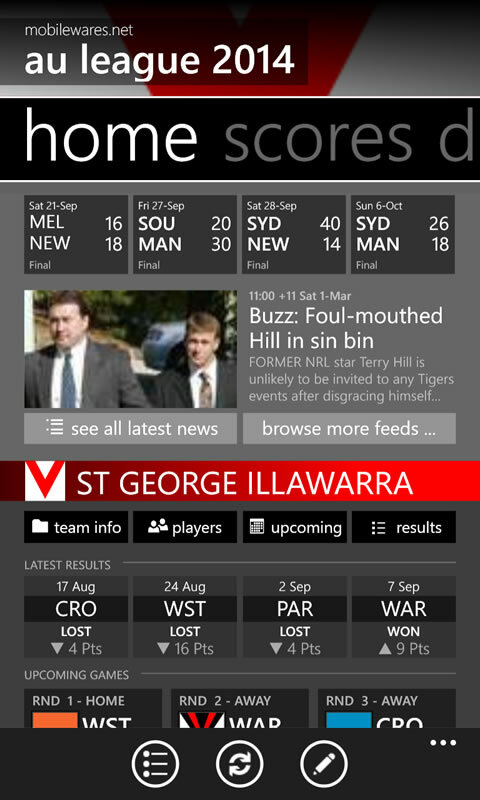 Track the current NRL 2014 Season - and get the complete experience including comprehensive live scores, blow by blow Team, Game and Player Head to Head stats, Draws, Standings, Latest News, Twitter Feeds, Stats, Venue Details and loads more..
Monitor the latest scores + news via your Windows Phone start screen - with Small/Large/Wide WP8 live tile support (updated live when games are played). 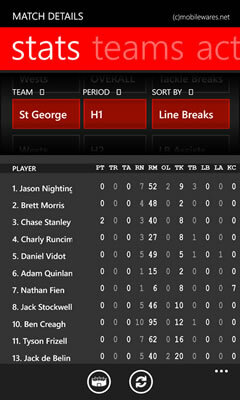 Our live data has been licensed from SportsData (the leading provider of live sports data to major news + media organizations in AU) - and is streamed directly into the app from our dedicated server with 1 minute live updates during matches. 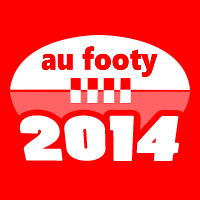 Updated fixture information, match scores, ladders and various news and stats are streamed in as the season progresses. 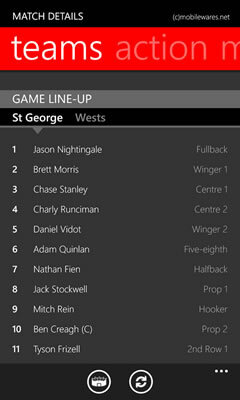 Nominate your team - instantly view relevant information such as upcoming matches, player listings, team news and stats (with a Metro UX themed with your team colors) - and pin your team logo to your app tile. Native version for Windows Phone 8 (sorry WP7 not supported)- including re-rendered HD graphics (optimized for WXGA/720p/1080p handsets) with native small, square + wide live tile support. 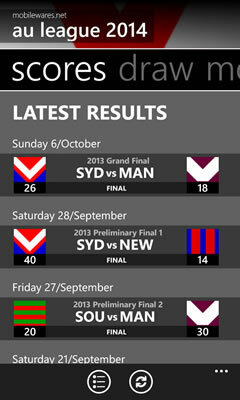 Brand new Home Page (see image below) - the landing page now combines live scores, latest news and a comprehensive season snapshot for your team, all in one place. Enhanced Look + Feel - with a new updated look, crisper HD graphics, and better App layout. 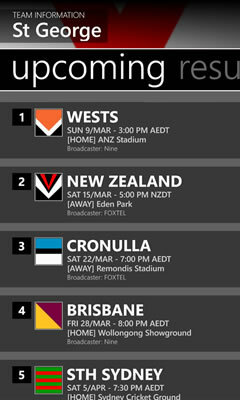 TV Broadcaster Information - where available, view which broadcaster is covering your matches. 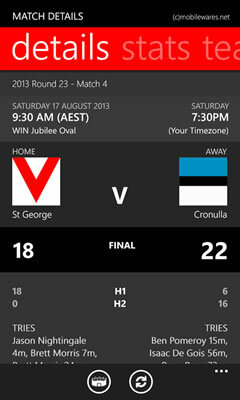 Add Matches to your Windows Phone Calendar - don't miss a match, simply click add to calendar when viewing any upcoming games. New Live Metadata Update system - allows us to instantly push out critical fixture, venue, team + match updates - without having to publish a new update on marketplace. New home page brings you all the important info in one place. 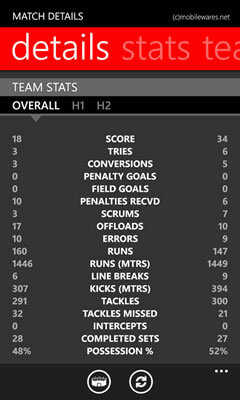 Comprehensive Extended Live Match Data including Period by Period, Team + Individual player stats, pre-game Team Lineups, Match Events, and other general information where available (such as weather, ground conditions, umpire lists, injuries and attendance). 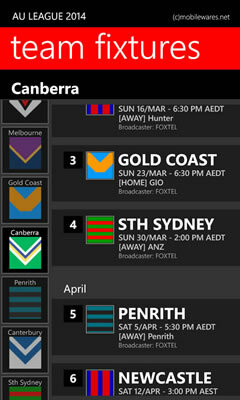 View Upcoming Matches + Draw by Team or by Round. 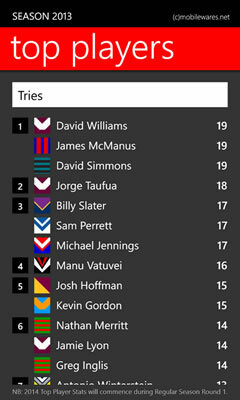 View Top Player Stats for the competition. 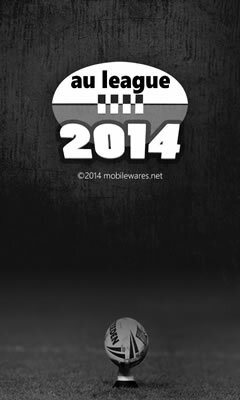 Includes 2014 Fixture Data (with Historical scores for 2012 + 2013 Season pre-loaded into the App). Browse Latest RSS News + Twitter feeds from all the popular providers for the competition and for your team. 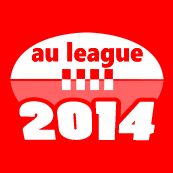 Nb: Above rankings/awards for 'AU League 2014' are at time of updating this page.